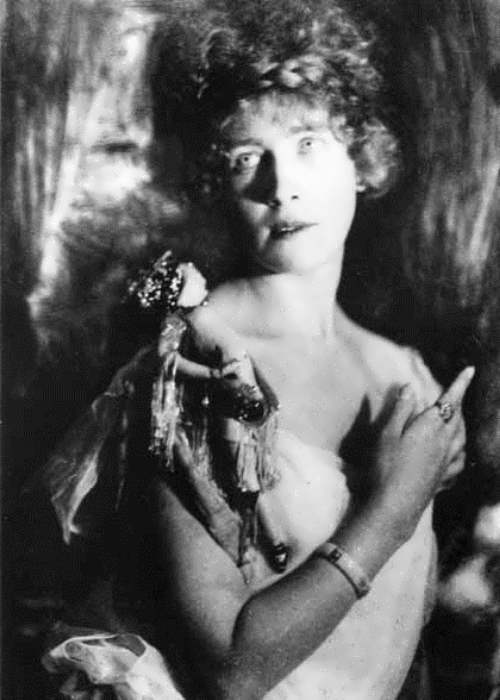 Sudeikin was keen on femme fatales and once he became a victim of Vera Arturovna Schilling. Sergei took her to Paris under the name Glebova-Sudeikina – he just replaced the photo in the passport. 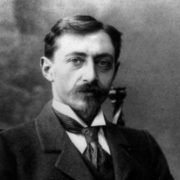 However, Vera left him and later became the wife of Stravinsky. 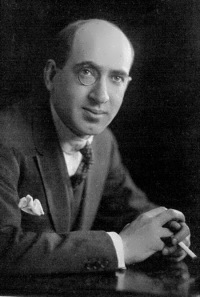 After the divorce composer Arthur Lourie became Olga’s closest friend. 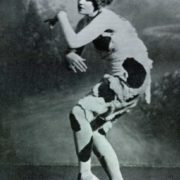 By the way, Glebova – Sudeikina participated in performances of both classical and modern dance at the Maly Theatre and Liteiny Theatre, performed in private lounges and cabarets. 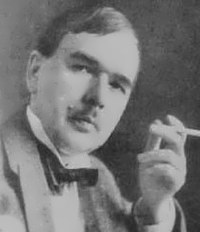 In 1918 Yuri Annenkov wrote ballet-pantomime special for Sudeikina. 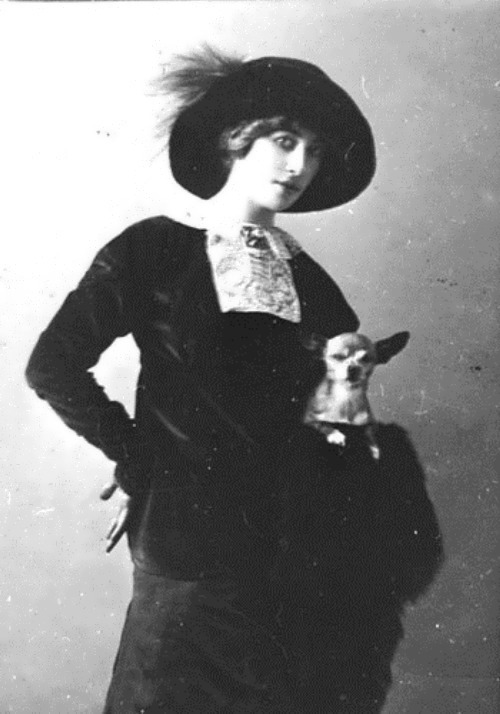 In the autumn of 1924 Olga emigrated. At first she went to Berlin, and then to Paris. 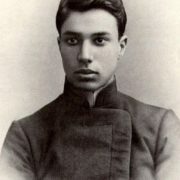 Sudeikina translated French poetry into Russian, studied painting and sculpture. 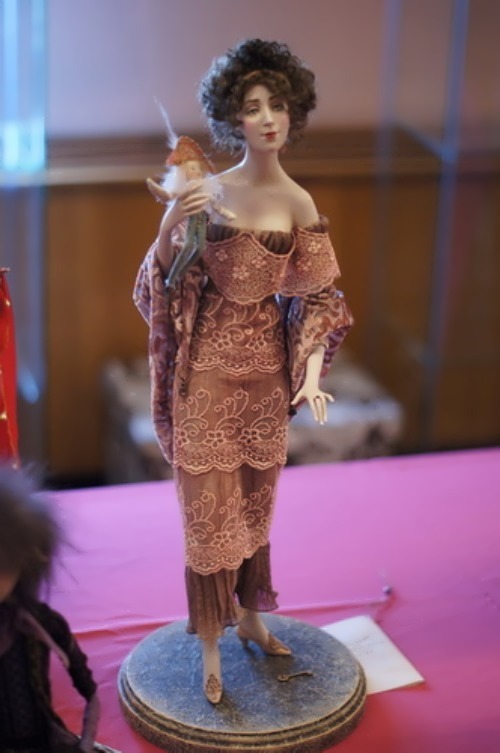 Even before the emigration Glebova – Sudeikina was fond of dolls and figurines. 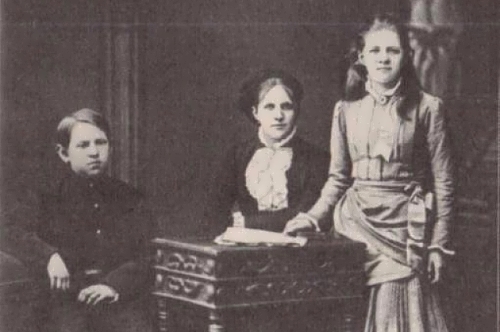 She left Russia with a suitcase full of porcelain, which allowed her to have money abroad. 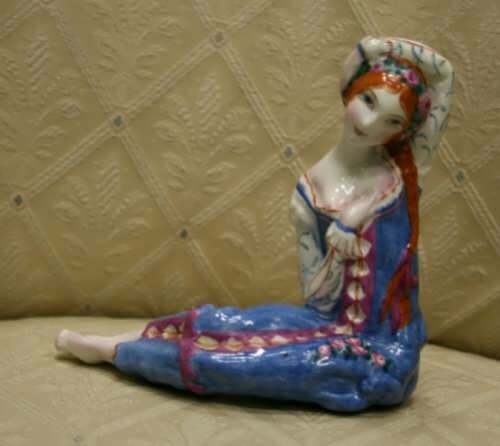 Moreover, in Paris, she continued to make painted porcelain sculptures, participated in handicraft exhibitions in 1932. 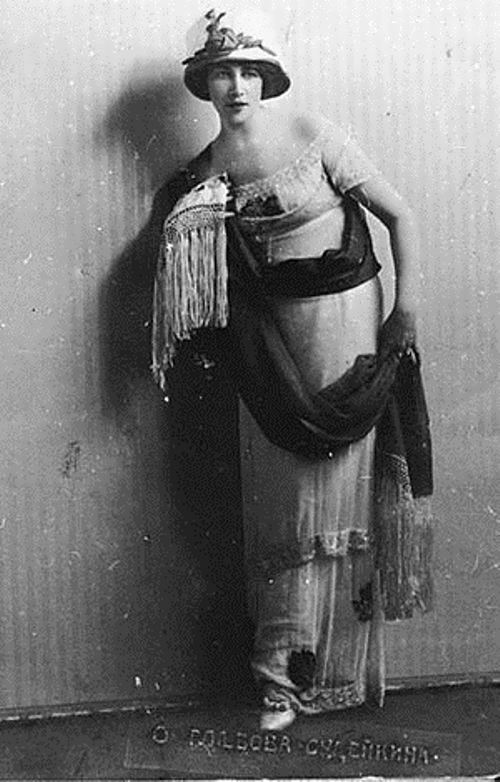 In 1934-35 her figurines and dolls were exhibited in the Galliera Museum. 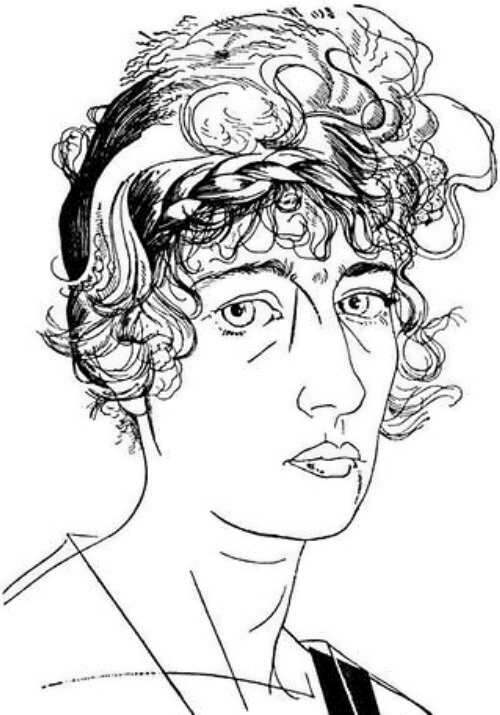 Besides, Sudeikina performed at the literary evenings dedicated to Russian poets, she recited poems. 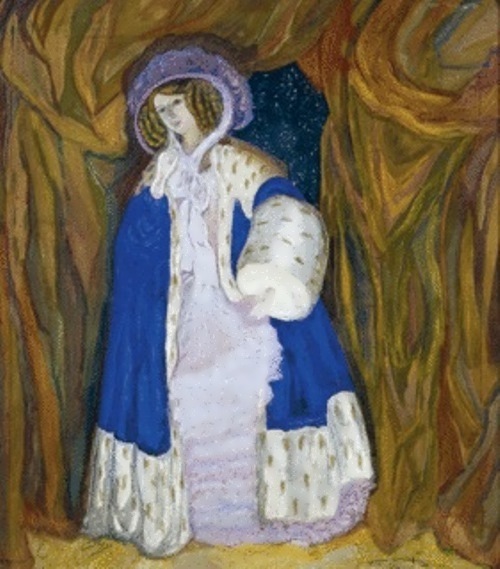 In Paris, Olga Sudeikina was known by the nickname “La Dame aux oiseaux” – “The Lady with the birds”, because she was an owner of many feathered creatures. 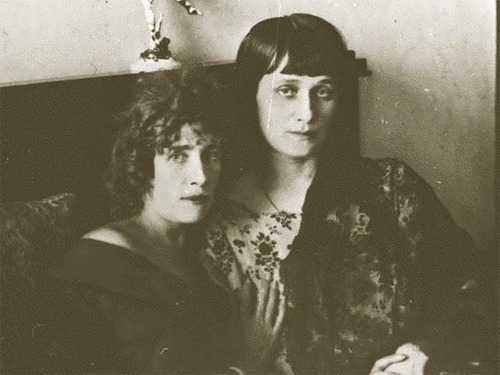 Both Lourie and Glebova became prototypes of Anna Akhmatova’s Poem Without a Hero. 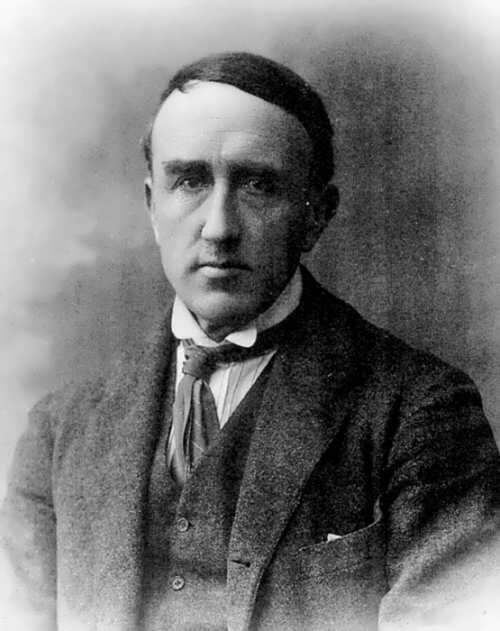 Lurie wrote the music for The Poem Without a Hero and dedicated it to Olga. 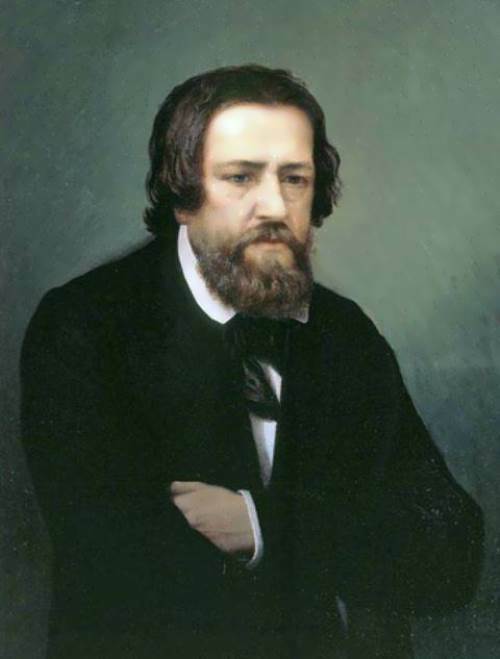 Many famous Russian poets, including Blok, Fyodor Sologub, Georgy Ivanov, Kuzmin, Rozhdestvensky, Severianin, Khlebnikov dedicated their poems to Glebova-Sudeikina. 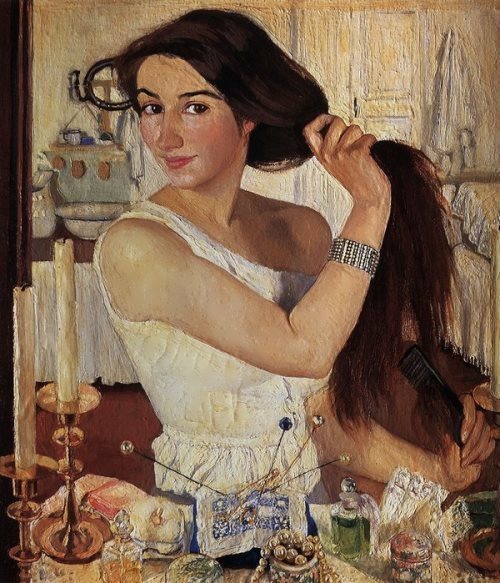 Her husband Sergei Sudeikin painted a lot of her portraits. 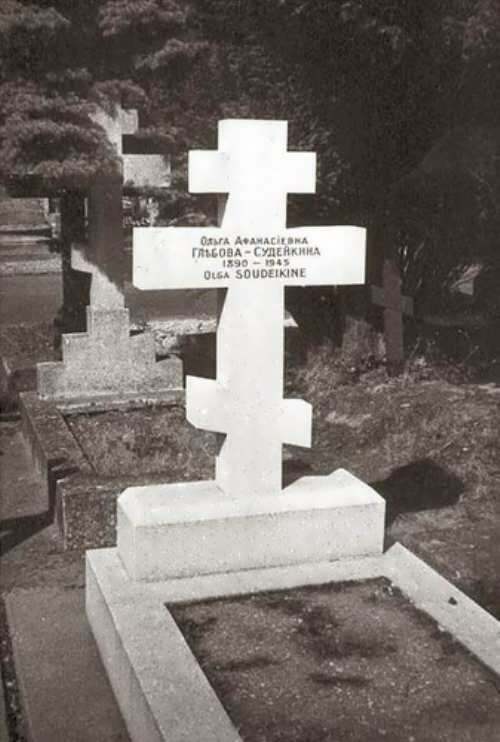 Olga Sudeikina died of consumption on January 19, 1945 in Paris and was buried at the cemetery of Sainte-Genevieve-des-Bois.